The apartment is tastefully furnished and ideal for tourists, visitors or professionals. This spacious, airy apartment is located right at the heart of the centre and close to major landmark such as The University of Sheffield, Sheffield Hallam University, The Cathedral, Kelham Island etc. The living area has a flat screen TV, sofa, coffee table, large dining table and 4 chairs. The bedroom furniture includes two modern double bed with brand new double-sized memory foam mattresses and pillows, huge wardrobe with drawers and a bedside table. The kitchen is high spec finish with a brand new induction hob. A luxury tiled bathroom with large shower gives the apartment a really opulent feel. Modern decor, quality furniture and at least four (4) windows -- to allow for natural light -- makes the apartment stand out. Guest will have access to the entire apartment. You will have your own set of keys/fob so you can come in and out as you wish but a lost fob fee of £100 would apply. 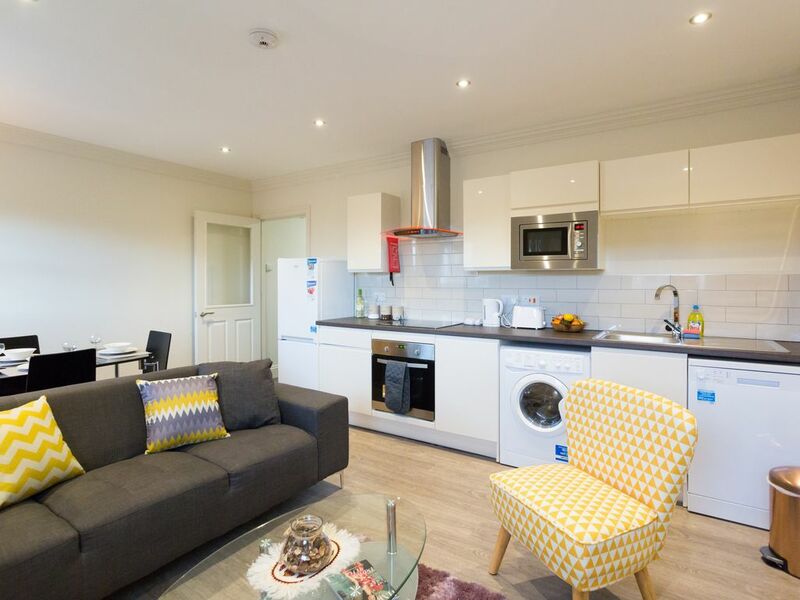 As the apartment is right at the heart of the city centre, you will not have any difficulties getting around on foot or getting on tram/bus/train or even getting a taxi. There is free secure parking if you arrive in your own car. Hi, I'm James and I work with local property developers to provide some of the best short term stay properties in Sheffield. This is an affordable yet tastefully equipped for your stay in Sheffield. In addition to that, it is centrally located and well serviced for the best hospitality. New, clean, tidy, would recommend. Good communication prior to arrival, easy access (but need to use post code, S1 2DJ.) parking very handy and secure. Quiet area with easy access to city centre. Ideal for those attending swimming competitions. The apartment is a short term, SELF-CATERED accommodation, which is stated in the description BEFORE booking.